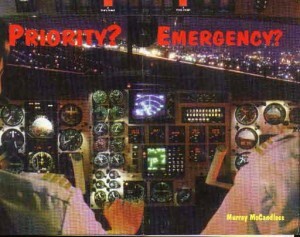 Home › Literature › Emergency or Priority? It was January 25, 1990; Avianca Flight 52, a DC 8 from Bogota Colombia arrived at JFK Airport in New York. The airport was shrouded in thick fog. The crew were given holding instructions for landing sequence, upon which they asked if they could have priority in landing due to fuel consideration. The air traffic controllers asked them if they were declaring an emergency, to which the crew responded “No”… Again the controllers had them confirm the same. They had not taken on enough fuel, as international regulations require enough fuel to destination, then to alternate airport, +45 minutes. The jet, after holding in pattern, was cleared for the approach. The crew felt relieved, as the cockpit was now filling with red warning lights and the annunciators were warning of low fuel. Unfortunately the jet crashed only minutes from touchdown at the threshold of the runway, killing all 73 persons including the crew. So close, yet so far! Just as the approach lights were coming into view, the flight so tragically ended. It didn’t have to happen! Upon investigation the FAA had to remind the disturbed Colombian authorities that there is a difference between a Priority and an Emergency. Had the captain declared an emergency all the traffic would have been cleared out, and Flight 52 cleared to land. Sure, there would have been some questions asked, and possibly the captain’s license revoked for several months if it was proven he was negligent about taking on enough fuel in Bogota. We often preach that salvation has to be made number one priority. How true! And yet, when an individual realizes they are going to hell, they get beyond categorized priorities to an EMERGENCY! In Luke 18 we read of a rich young ruler, filled with law-keeping, who had lived a life of priorities. “And a certain ruler asked him, saying, Good Master, what shall I do to inherit eternal life?” (vs 18). Notice he speaks of “shall”, not “must”. He speaks as if salvation was something optional, not vital. Salvation is not something we achieve, but something we perceive! The rich young ruler, the very picture of purpose and potential, goes away sad. Salvation for him had never become an EMERGENCY. The rich farmer in Luke 12 says, “What shall I do?” There is no emergency here; it is business as usual. There were all kinds of possibilities presenting themselves to his entrepreneurial mind. A man that came to the end of the road and realized that what he needed he didn’t have…and what he had he didn’t need. And of all his assets, only one had continuing value…his soul! Ultimately death loosens the tension grip on the tangible. God calls him a fool, and he died that night. How different the Philippian jailer (Acts 16)! After the earthquake, and the singing of the gospel preachers who must have told him about being saved, he brings them out and says, “Sirs, what must I do to be saved?” With a sword in one hand and a light in the other, he realizes there is an EMERGENCY. Likely the devil told him, as he tells people today, “If you get saved, you might as well be dead!” But whether it meant life or limb or livelihood, this man knew he needed salvation. He doesn’t say, “What must I do to believe … repent … trust?” If he had been occupied with any of these things the story would have led us readers to make a work of believing. Knowing this, God saw to it that attention was focused on salvation as the present EMERGENCY. The word “saved” became a reality that night in his life and that of his family. What about you, my friend? Possibly it hasn’t even become a priority. When you read the Bible and in some measure realize the seriousness of your present condition, it will become an EMERGENCY. What a mercy when God gives a wake-up call that flashes the truth of His Word into a Christless life! To Nicodemus the Savior said, “Ye must be born again” (John 3:7). Neither is there salvation in any other, for there is no other name under heaven given among men whereby we must be saved (Acts 4:12). Why not abandon your pride and adopt the attitude now that you will adopt when it is too late, and cry out for salvation? “Behold, the Lord’s hand is not shortened, that it cannot save; neither his ear heavy, that it cannot hear” (Isaiah 59:1).